As part of the New York Electronic Art Festival 2009, a month-long series of concerts, workshops, and exhibitions centered on the cutting-edge work being done at the intersection of art and technology, Harvestworks will present the first in a series of New Project Demos on Friday October 2nd with presentations by new media artists Zachary Leiberman, Lesley Flanigan and Brendan Fernandes. Zachary Lieberman will present recent and on-going works developed in the last year, including an eye tracker for a paralyzed graffiti writer who has ALS, a performance on the facade of a building, tools for new forms of magic, a 3D drawing tool, and theopenframeworks toolkit, a framework for creative coding in c++. In addition, there will be presentation of an upcoming work the artist is developing in collaboration with Taeyoon Choi, which has been sponsored by Harvestworks and NYSCA. Zachary Liebermanhas a simple goal: he wants you surprised. He creates artwork that uses technology in a playful and seamless way to explore the nature of communication and the delicate boundary between the visible and the invisible. He makes performances, installations, and on-line works that investigate gestural input, augmentation of the body, kinetic response and magic. See thesystemis.com and openframeworks.cc for more. Lesley Flanigan will share her work with custom-built Speaker Feedback Instruments, addressing the physicality of sound, amplification as a source of sound in and of itself, and the relationships between noise, speakers, and voice. Lesley Flanigan’s work deals with the physicality of sound, and “amplification” as a source of sound, focusing on the relationships between noise, speakers, and voice. 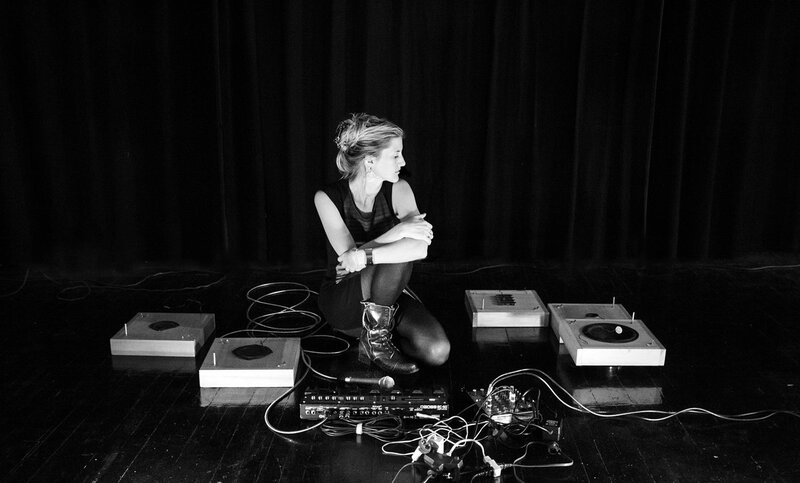 In her current work, Flanigan builds her own speaker feedback instruments. Her performances with these instruments reveal a sculptural process of creating music, as she shapes the varying tones and rhythms of her own singing voice. The result is beautifully rich and physical music built entirely of feedback and voice. Visit lesleyflanigan.com for more. 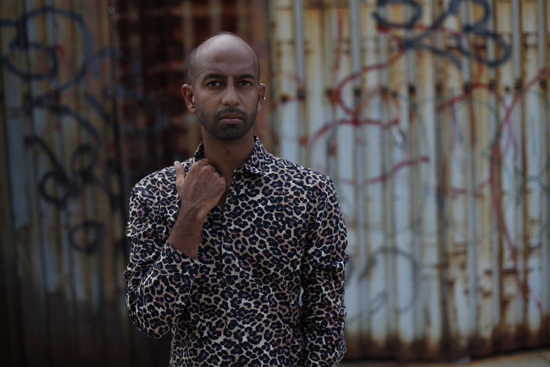 Brendan Fernandes investigates the concept of authenticity, as an ideological construct that both dominant and subordinate cultures use to their own ends. It is a word that shapes cultural experience, and thus also shapes concepts and formation of identity. He uses the Safari-as-authentic-African-experience to provide an evocative metaphor for the inscription of culture onto his own sense of identities. 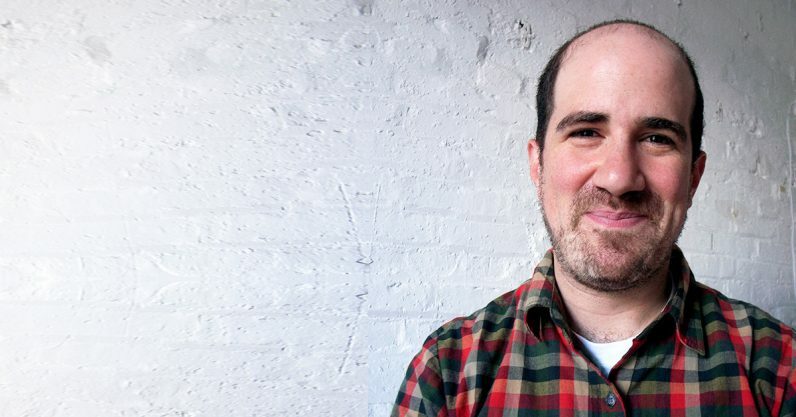 In his lecture at Harvestworks he will discuss his practice and the new work that he created in his residency. The New York Electronic Art Festival is produced by Harvestworks in partnership with Arts>World Financial Center, Roulette and New York University with funds provided by the National Endowment for the Arts as part of American Masterpieces: Three Centuries of Artistic Genius, the New York State Council on the Arts, the New York City Department of Cultural Affairs, mediaThefoundation, Etant donnés: The French-American Fund for Contemporary Art, the Québec Government Office in New York, Electronic Music Foundation, the Experimental TV Center Presentation Funds and the Institute for Electronic Art and the Paula Cooper Gallery. Corporate sponsorship is provided by Tekserve: the Apple Specialists, Newmark Knight Frank, Original Sin and Cycling74.